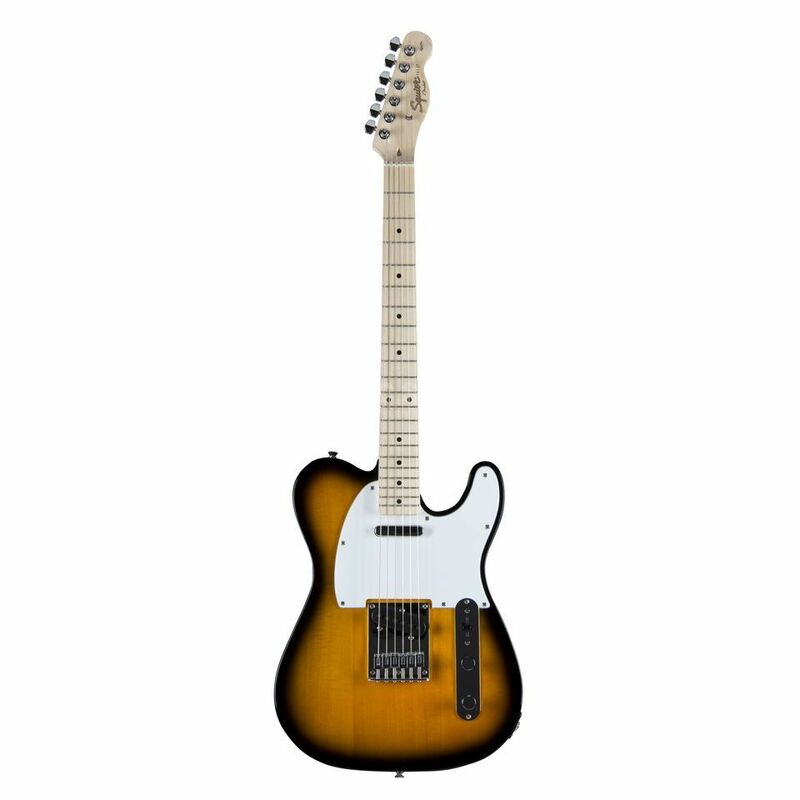 The Squier Telecaster MN 2TS Affinity Series 6-String 2-Tone Sunburst is a 6-string model featuring an alder body, a maple neck, a maple fretboard, and comes in a 2-tone sunburst finish. The Affinity Tele SS is one of the best value electric guitars on the market, and this model delivers a solid sound and aesthetics thanks to two vintage-style single-coil pickups combined with a stylish three-ply white/black/white pickguard. Equipped with a maple neck this guitar has a "C"-shaped profile with a maple fingerboard adorned with white dot inlays and 21 medium jumbo frets. Three-way pickup switching offers an array of versatility, whilst a top load bridge creates a slightly "slinkier" feel by reducing the break angle of the strings over the saddles. The six individual saddles can be adjusted for precise intonation along each string.